Aplasia cutis congenita (ACC) is a rare disorder characterized by congenital absence of skin. Frieden classified ACC in 1986 into 9 groups on the basis of location of the lesions and associated congenital anomalies. The scalp is the most commonly involved area with lesser involvement of trunk and extremities. Frieden classified ACC with fetus papyraceus as type 5. This type presents as truncal ACC with symmetrical absence of skin in stellate or butterfly pattern with or without involvement of proximal limbs. It is the most common congenital cicatricial alopecia, and is a congenital focal absence of epidermis with or without evidence of other layers of the skin. The exact etiology of ACC is still unclear but intrauterine infection by varicella or herpes virus, drugs such as methimazole, misoprostol, valproate, cocaine, marijuana etc., fetus papyraceus, feto-fetal transfusion, vascular coagulation defects, amniotic membrane adherence, abnormal elastic fiber biomechanical forces and trauma are implicated. It can be associated with Johanson-Blizzard syndrome, Adams-Oliver syndrome, trisomy 13, and Wolf-Hirschhorn syndrome. It can also seen with exposure to methimazole and carbimazole in utero. This dermatological manifestation has been linked to Peptidase D haploinsufficiency and a deletion in Chromosome 19. ^ RESERVED, INSERM US14 -- ALL RIGHTS. "Orphanet: Aplasia cutis congenita". www.orpha.net. Retrieved 22 August 2017. ^ Moss C, Shahidulla H. Naevi and other developmental defects. In: Burns T, Breathnach S, Cox N, Griffiths C, editors. Rook’s Textbook of Dermatology. 8th ed. United Kingdom (UK): Wiley-Blackwell Publication; 2010. p. 18, 18.98-18. 106. ^ Meena N, Saxena AK, Sinha S, Dixit N. Aplasia cutis congenita with fetus papyraceus. Indian J Paediatr Dermatol 2015;16:48-9. ^ Freedberg; et al. (2003). Fitzpatrick's Dermatology in General Medicine (6 ed.). McGraw-Hill. p. 650. ISBN 0-07-138076-0. ^ James, William; Berger, Timothy; Elston, Dirk (2005). Andrews' Diseases of the Skin: Clinical Dermatology (10 ed.). Saunders. p. 572. ISBN 0-7216-2921-0. ^ Rodríguez-García C; González-Hernández S; Hernández-Martín A; Pérez-Robayna N; Sánchez R; Torrelo A (2011). "Aplasia cutis congenita and other anomalies associated with methimazole exposure during pregnancy". Pediatric Dermatology. 28 (6): 743–745. doi:10.1111/j.1525-1470.2011.01572.x. PMID 21995270. ^ Malan, Valerie; et al. 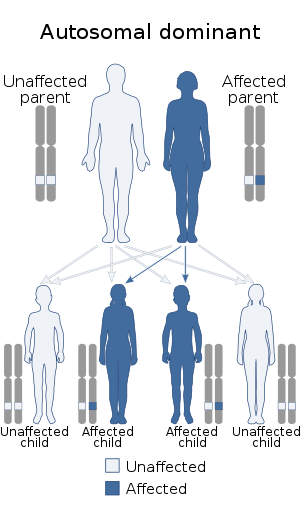 "array-CGH recognizable genetic condition identified by 19q13.11 deletion syndrome: a novel clinically". J. Med. Genet. Retrieved April 8, 2009. This Genodermatoses article is a stub. You can help Wikipedia by expanding it. This page was last edited on 17 April 2019, at 03:05 (UTC).